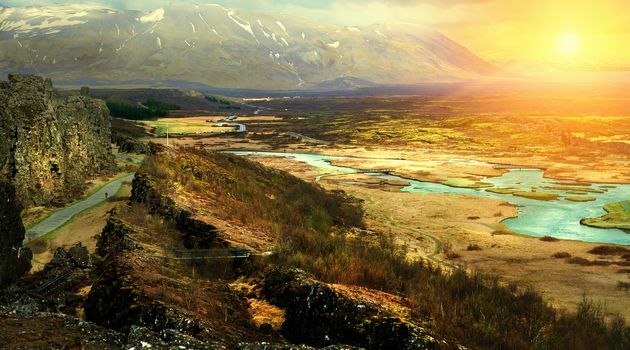 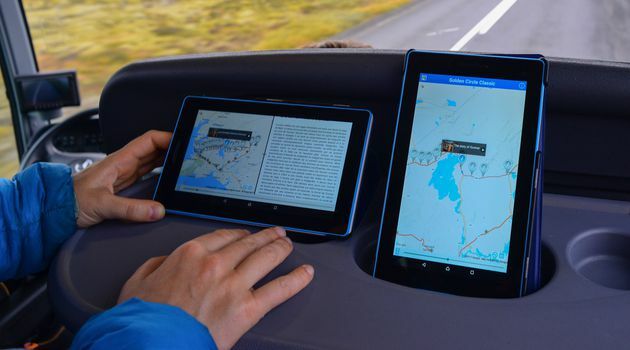 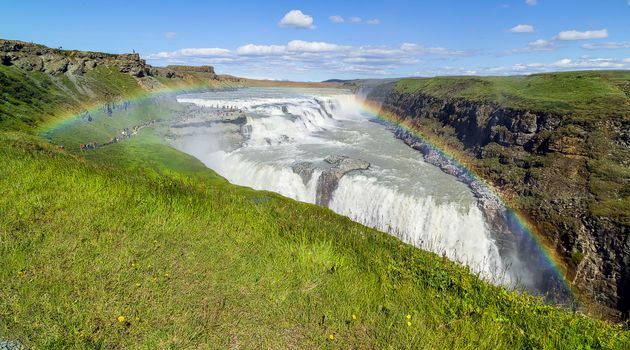 The Golden Circle Classic is our bestselling day tour! 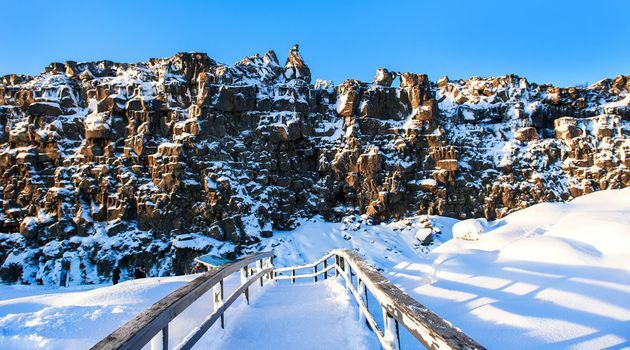 Follow in the footsteps of the vikings of old as you walk down into the rift valley where the American and Eurasian continental plates are literally pulling apart at Þingvellir National Park, a UNESCO World Heritage Site and the birthplace of the oldest existing parliament. 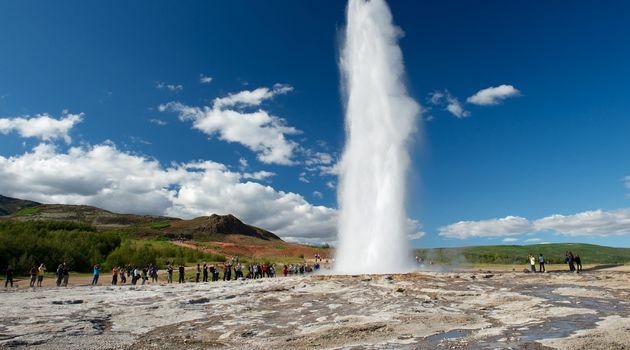 Witness the steaming geothermal springs as the ground trembles and hot water spouts spectacularly skywards from the famous Strokkur Geyser at home of the one-and-only original geyser and Iceland's most iconic natural attraction. 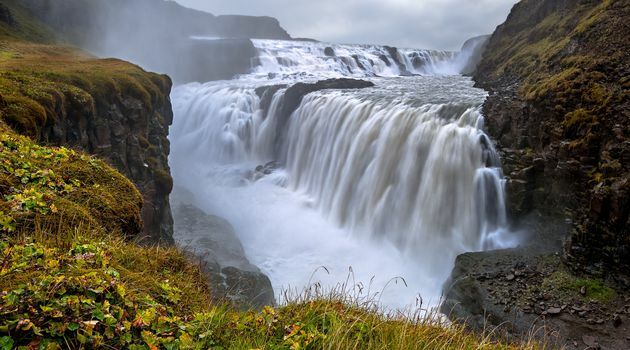 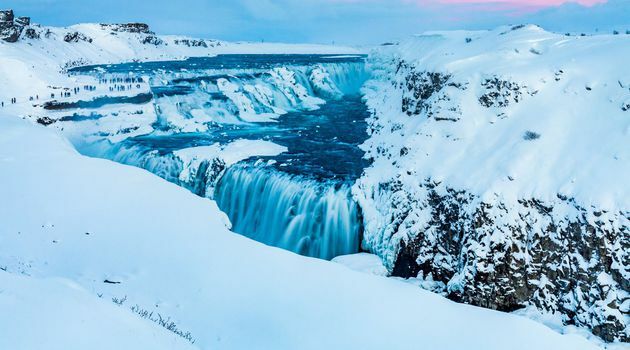 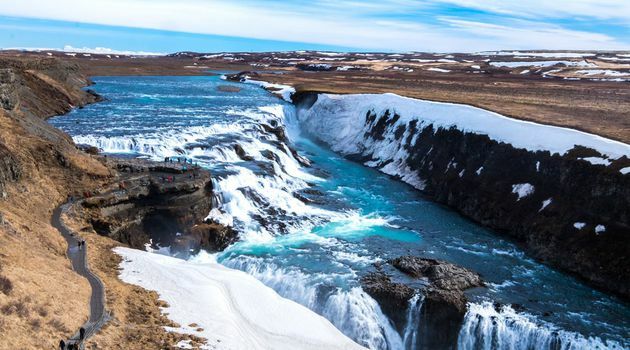 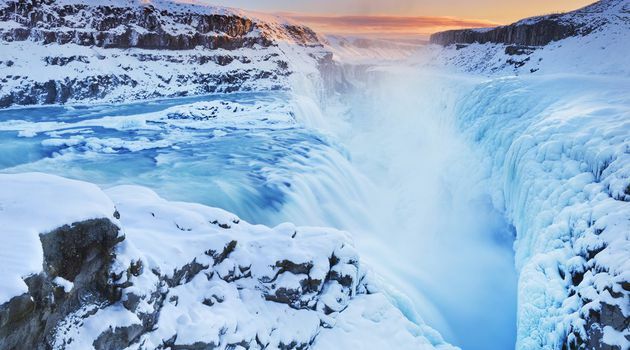 Experience the magnificence and power of Gullfoss Waterfall, a set of glacial river cascades falling 32 meters into a narrow canyon with a thunderous roar. 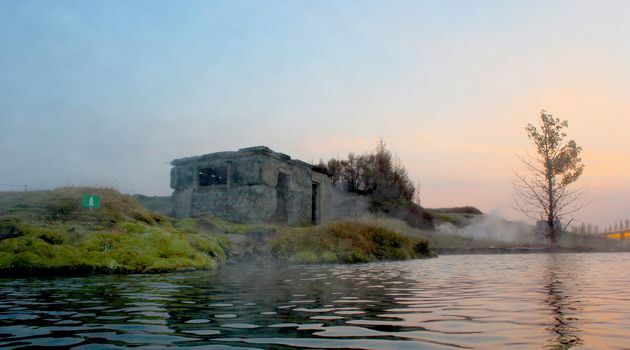 The last stop on our tour, and the most relaxing, is the Secret Lagoon. 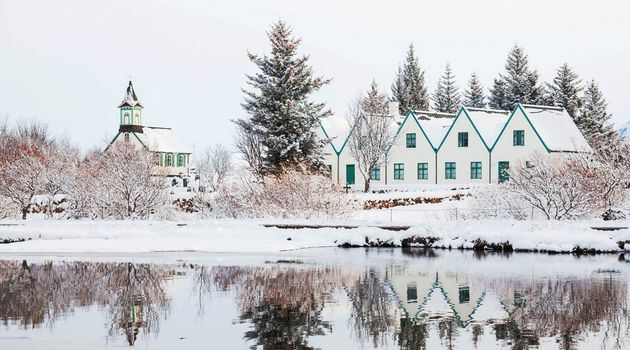 Whatever the weather, this is the perfect spot for relaxing in between sightseeing and enjoying Icelandic nature. 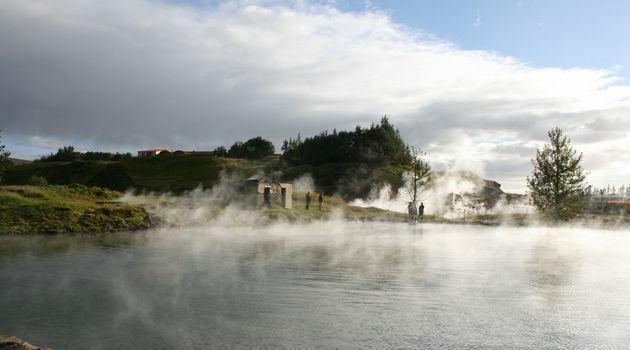 Indeed, the geothermal hot water is a hidden treat that Icelanders have been enjoying for generations! 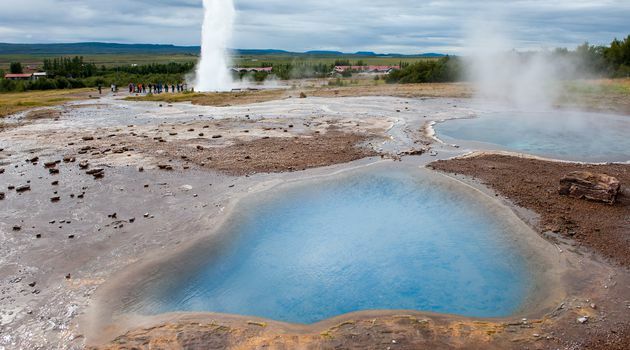 Around the Secret Lagoon you can also find several hot spots, even a little Geysir that erupts every 5 minutes, showing off for the guests bathing in the hot spring. 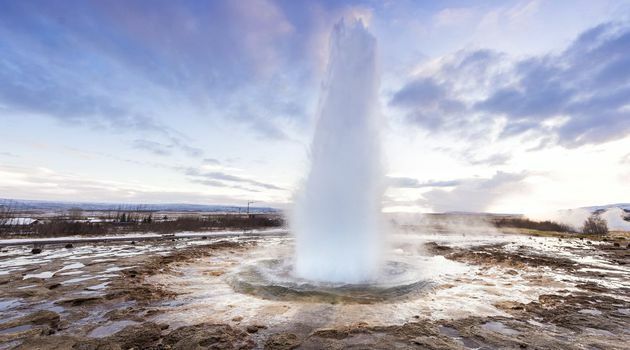 This is the perfect combination of activities including stunning sightseeing and a heavenly bath in a geothermal hot spring set in a gorgeous location! 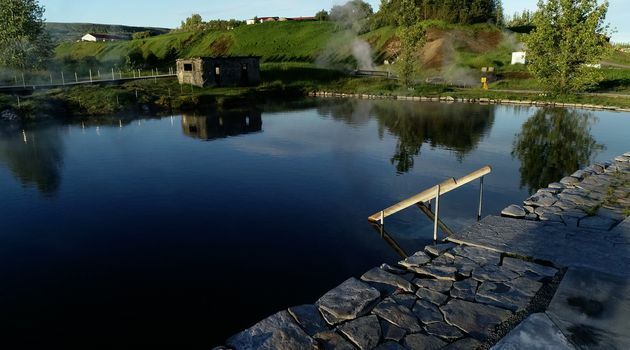 For the Secret Lagoon: Swimsuit and Towel. 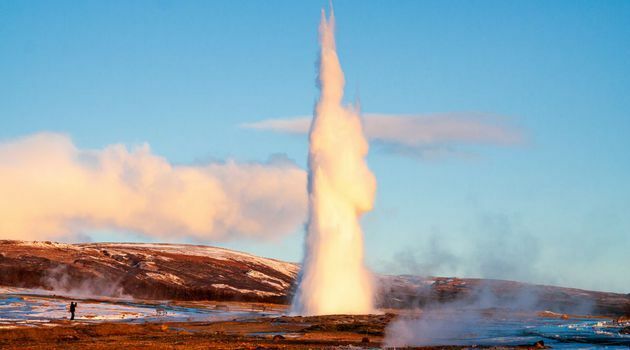 These may also be rented at the secret lagoon.